I have been here in Marikina City most of my life and to even amplify that point, my work experiences are mostly just within the area. Well, it has its pros and cons really but I like focusing on the good and better stuffs than the bad ones of course. Some if it are less traffic, more time to do other stuffs, our house is literally minutes away, and a whole lot more. Given with this situation, of course I have more time to discover more things in the neighborhood and one of the places I usually go to is at Riverbanks Center here along the A. Bonifacio road. Well, they are quite known here because aside from you have to pass along their entrance before entering the city (which is the popular and easier way really), they host the biggest events here that is attended not only by Marikeños but by all the other residents of the neighboring cities. I am pretty sure most Marikeños know them a lot. But can you score 5 out of 5 on this list? 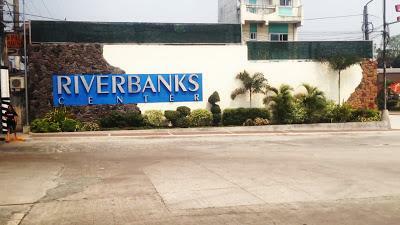 Be honest and let us know how well do you know Riverbanks Center - Marikina. 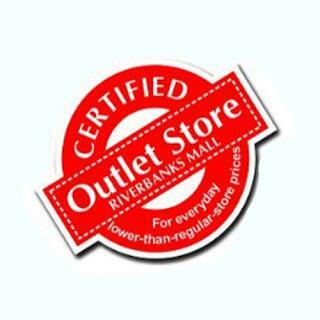 With all the shops and stores inside (which is quite a lot), how would you know that they are part of the official list of branded outlet stores? Look for this logo! 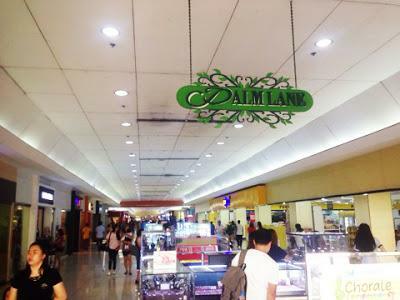 The Riverbanks Mall is quite popular on one of the few who carries various branded outlet stores in a single establishment. You even have the luxury of selecting as well from the non branded ones that are present there if you want to. Its like saving 3 things in 1 go. First, you save time and effort by having the selection of your life there, having them all in a single mall. Second, you save money as they are officially the outlet stores of popular brands which means they sell directly to you thus chopping off that middle-man cost. And for the third, you are saving your mind from agony. Most of us have those regretful thoughts after buying stuffs regarding if you bought the right item for the correct price or was it really worth buying it? Well, at the least in here you are sure to have bought it lower than the regular price it was supposed to be. I'll give you that peace of mind. You can decide to sell it after if you change your mind and even at a higher price if you are wise and have the network. I know some who do business through that so, yeah. Its quite efficient really when you do your shopping here. Have you guys noticed that every lane inside the mall had names? Well this one along their main entrance is called "Palm lane". Its quite a unique feature for a mall having them. It is very useful if you ask me, you can use it in various ways to tell the exact location of a person, a shop or an event inside the mall. It is a great alternative to serve as reference and mind retention not only to your guests but to the administrative staffs as well. They even have a lane that is called "Technolane" which is populated by shops related to gadgets and technology - comforting to know especially if you are an organized person (haha). In the first place, did you know such museums exist here? And if you do, without scrolling down below, How many museums do you know are in the area? Most likely is that you have a incorrect answer on either of the questions above. I'll sum it up after talking a bit about them here so the answer would be right down below (lol). > The Philippine Science Centrum. It is an interactive science center that is recognized by the DOE, DOST and DOT. They are really popular as a field trip destination but did you know that they are also open for walk-in guests and regular visitors from Mondays to Saturdays? You can actually bring your friends and family here on regular days to avoid the crowd while enjoying their facilities. They really got great stuffs in here that not only kids will enjoy but for all ages. > The Belen Museum. It is a private collection of over 500 nativity sets in a single air-conditioned room that is open every weekends (Friday to Sunday) for regular viewing. Please take note that the museum is open all year round so you can visit them on any weekend you want and not only on Christmas season. Yes, we commemorate the birth of our Lord during every Christmas season but we can remember him even on normal days thru our own ways. > The Museum of Miniatures. A collection and partly creation of a passionate artist, Ms. Aleli Vengua. If you enjoy seeing tiny but real-looking replicas of rooms in a European mansion, well this place is made perfectly for you. Don't be fooled when you take a picture because you just might forgot that you are capturing miniatures not life-sized objects. The details on how they are created is mind blowing. So don't miss this out as this is packaged with the belen museum in a single ticket. A 2-in-1 treat for you. > The Joey Velasco Gallery. A home for the works of the late renowned artist, Mr. Joey Velasco. The famous painting "Hapag ng Pagasa" (where the picture of the last supper was replaced by street kids) is one of his paintings that can be seen in here. Know more about him, his works, and his legacy - The Joey Velasco Foundation that continues to helps children in need to reach their dreams, by visiting the gallery and contribute to that purpose. So, to sum it all up as promised.. 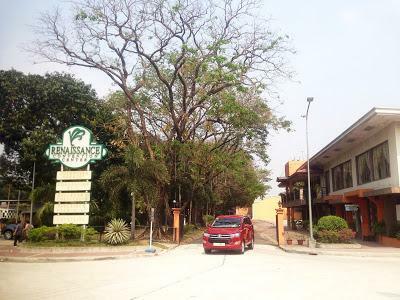 There are 4 museums in the area and they are all located at the E-com building just beside the Riverbanks mall. This attraction actually made Riverbanks unique from its competitors. It is a standout feature that everyone loves. Not only it hosts some of the biggest and brightest outdoor events in the area but it became a bonding center for families to enjoy. It is a great place to have that stroll, jog with friends, bike ride with barkada, or even have that evening date with "the" special someone. 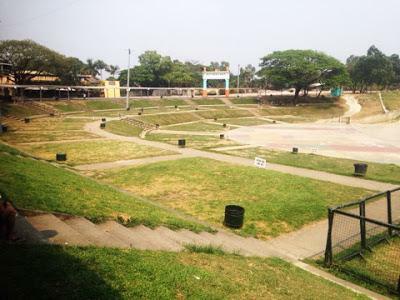 And not only that, it connects key points of the city just like the river side-walk (former animal trail) from the Marikin-Bayan area to its amphitheater, and vice versa. 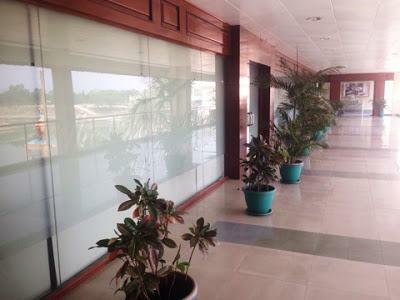 It provided a car-free route that is rich with nature promoting a healthy living and environment to the nearby residents and being an example to other business establishments. It is an active common ground that seasonally transforms to serve and entertain the public. Beside, who would forget this beauty once you see it? If you are observant enough and quite familiar with the place, you might have seen some parts of this area in various movies already. And that is aside from all of the countless events (from small to big occasions) that have been held in here. But did you know that this area, The Renaissance Convention Center, is still part of Riverbanks Center? Yes, another center within the center. That is how huge Riverbanks is lol. Man, can I just say that whatever event you maybe having anytime soon or in the future, I think they have just the room perfect for that. They have small and big conference rooms, studio rooms, ballrooms, multi-purpose rooms, etc.. well, maybe inquiring directly to them would be the best recommendation for now hehe. They even have a basketball court there and a garden just to add. Whew! So, this will be all for now, by the way.. whats your score out of 5? Did you already knew all 5 before reading this? If then great job! Most likely you are a home grown Marikeño. But for those who learned something new in here, it is my pleasure to share this with you. Upon visiting them recently, they got a lot of developments happening so I am too just like you is excited for more things to come at their area. Here I made a video version of the post. Hope you appreciate it! Our Fathers Are Brothers and Our Mothers Are sisters.What is Our Relationship Then?